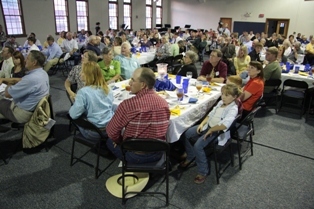 More than 150 people attended a Muleriders on Tour in Mena, Arkansas on September 8, 2009, at the Mena Historic Armory. Featured speaker at the event was Dr. Jeff Miller, new Chairman of the Agriculture Department at SAU and formerly of Mena. 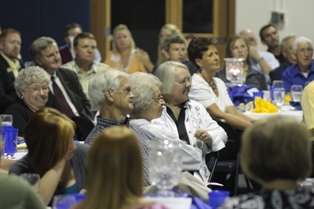 This was the fourth in a series of Muleriders on Tour events scheduled as part of the University’s Centennial Celebration. In addition to visiting with friends and networking, guests enjoyed a chicken dinner prepared by Chuck Bell of Tyson’s and his helpers, and a performance by the Mena High School Jazz Band. 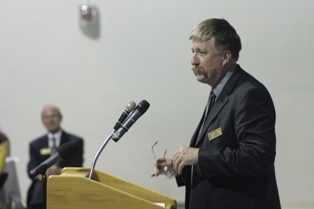 Lee Smith (’96), Career & Technical Education Coordinator of the DeQueen-Mena Educational Cooperative emceed the event. Dr. Diann Gathright (’70), Superintendent of Mena Public Schools, welcomed the group, and Duane Webb (’96), President, Polk County Cattlemen, gave the invocation. 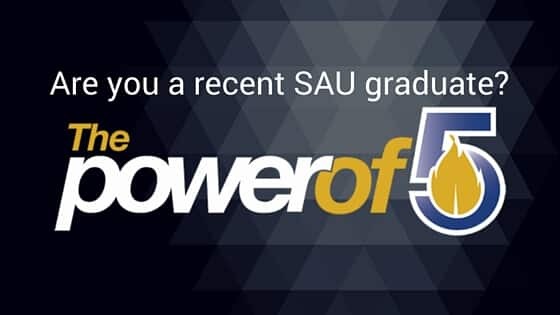 Dr. David Rankin, President, Southern Arkansas University, described the school’s progress on fulfilling the Blue and Gold Vision and introduced Miller, chair of the SAU Agriculture Department. 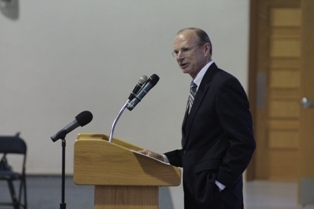 Miller expressed his dedication to providing a quality agriculture program at SAU for the young people of southwest Arkansas. Carla Vaught (’84) gave a presentation on the variety of hats that Miller has worn in his life. Others who spoke on the importance of SAU, agriculture, and education to the region were Donald Westerman (’87), Southern Regional Education Board, Dr. Keith Lusby (‘68), Animal Science Department Head, University of Arkansas and Representative Bill Abernathy. Jim Baker (‘68), Vice President of Business Development, National Bank of Arkansas, closed the evening with some personal memories of SAU and his experiences in agriculture to emphasize the importance of a university education. 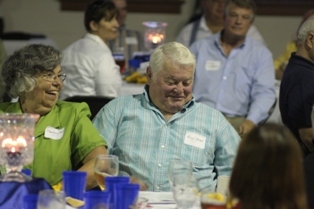 The evening was organized by a local committee of Ronnie Duckett (’75), Al Gathright (’69), Dr. Diann Gathright (’70), Scott Sullivan (’83), Lee Smith (’96), Dr. Steve Rook, Beverly Morton Bell (’78), Carla Vaught (’84), Dotsy Webb (’97), Jason Sullivan (’94), and Kyle Risley (’08) in coordination with the SAU President’s Office, Foundation, Alumni Association, and Mulerider Club.